As I reflect on the 27 years I have been a Realtor in Richmond, I look back in time to the days of waiting for the Friday afternoon delivery of our listing books to the office. The books contained all of the current properties for sale in the Richmond metro area and surrounding counties. The books were basically the size of a large city phone book. For those of you who have never seen a phone book, they probably weigh around 4 pounds. These books had black and white images and the most basic information. We had to go to the county courthouse to obtain any detailed information or sales history of a home. I remember spending hours in the tax record room in Henrico County. Now, all of the information is at our fingertips. Now, all MLS history, tax info, room sizes plat, photos, and mortgage history are all there for the world to pull up, instantly. In every listing, I believe systematic processes make measurable results. EVERYTIME, I use a professional photographer, who has provided stunning drone footage, 3-d photography and video images for us to use online and in publications. 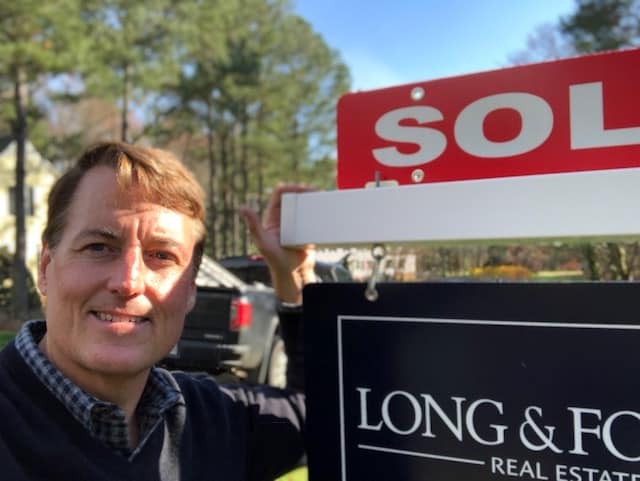 I have a YouTube channel, a Facebook Page, an Instagram Account, LikedIn business networks, a Zillow portfolio, Google+ and even a Pinterest account – all of which are used weekly to talk about real estate related topics, new listings, special features, and to publicize open house events. I have even started making video tours and live video posts for all of my listings. Take a look at any of the above links to see how this works! We are embarking on a very exciting project in 2018 with a local media company to capture more customers from web traffic. When I first started in the Real Estate business none of my colleagues in my office had a cell phone. I remember leasing a phone that was the size of a shoebox and all of the agents in my office thought I was James Bond. This new project will take advantage of the fact that almost every human uses a cell phone and the data network system. Depending on where you are, you may receive an internet ad from me on your device. Also depending on your internet search patterns, you may receive a random ad from me. We have optimized the website to include some many sophisticated search features. Our status on Google and other search engines puts my web site as one of the top pages. I have always tried to stay ahead of the curve with every aspect of my marketing and presentation of my skills. In this rapidly changing world of the digital revolution, I am confident the Richmond area will see the advances in our industry, with my brand at the front and center. Please look for them, and help us by providing any feedback you may have. Share feedback here!